Is that Lake Riviera and the 78 ditch I spy in the first one. I am going on a holiday next week so I figure I will leave these up till I return, see how many comments we generate. Ps Corn we need to see the JT 80’s skate demo! Nice one Jeff, keep em rolling in!! 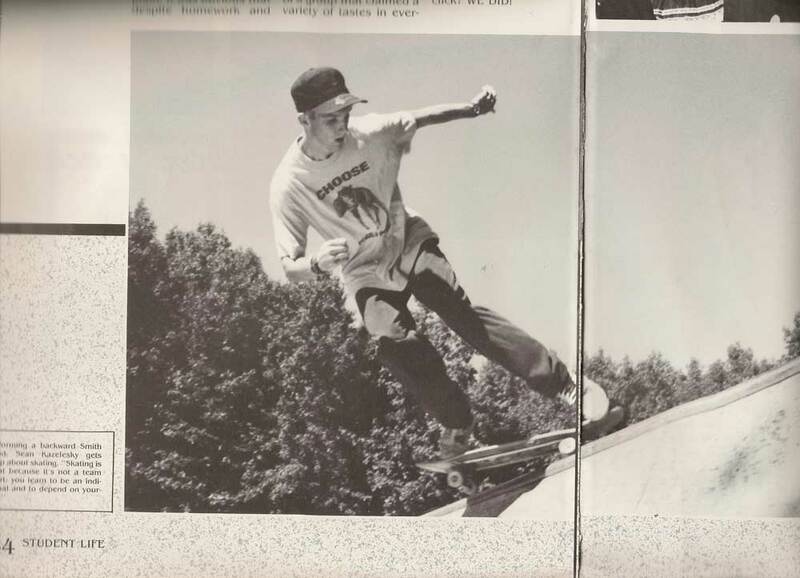 This entry was posted in 1990, JT Murphy, Lake Riviera Pool, photos by Jeff Roenning and tagged ART, backyard ramps, bam, boards, DEVO, east coast, house of steam, jason, Jason oliva, jasonoliva, Jeff, New Jersey, New York City, oliva, paintings, photography, pool Skating, ramp, REM, ride, Roenning, sk8, sk8t, skate, skate decks, skate history, skate photography, Skate ramps, skate trucks, skate wheels, skateboarding, skateboarding history, skateboarding photography, skateboards, skatepark, skater, SKATERS, skq, steam, Street Skating, TEAM STEAM, The Barn, The House of Steam, thos, vert, vert ramps, Vert Skating, video, youtube on September 25, 2007 by jasonoliva. the foto was taken by mr.grohlski..tom’s father..
that’s tom’s ramp in north brundwick,nj. this foto ended up in thrasher mad way back..
Well I thought I would wrap it all up with a classic… This picture is Iconic…and if you ever wondered who shot it well now you know! I got to skate (more like survive) Tom’s ramp one afternoon 4 or 5 years after this was taken. It was me Dan Tag and Tom….. I should have stopped to take a few pics that day. 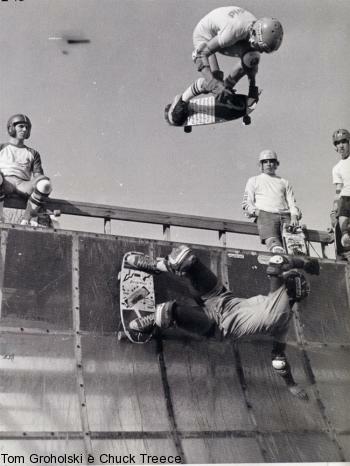 This entry was posted in 1983, Chuck Treece, Dan Tag, Groholski's Ramp, Jason oliva, John Engels, JT Murphy, Photos by Mr. Groholski, SKATE PARKS:, SPOTS:, TEAM STEAM, Tom Groholski and tagged 1983.SKATERS, ART, backyard ramps, boards, Chuck Treece, east coast, groholski ramo, jason, Jason oliva, jasonoliva, McRad, New Jersey, New York City, oliva, paintings, photography, pool Skating, ramp, ride, sk8, sk8t, skate, skate decks, skate history, skate photography, Skate ramps, skate trucks, skate wheels, skateboarding, skateboarding history, skateboarding photography, skateboards, skatepark, skater, steam, Street Skating, TEAM STEAM, The Barn, The House of Steam, thos, Tom Groholski, Toms ramp, vert, vert ramps, Vert Skating on June 29, 2007 by jasonoliva. We grew up in a small beach town in NJ. 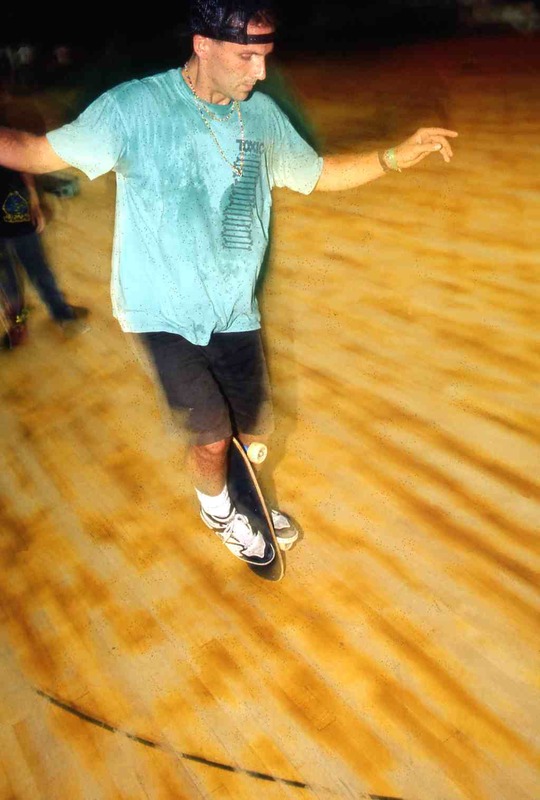 We street skated daily like a religion. We spend countless hours on the boardwalk in Seaside Heights in search of anything to ride. At that time, most of the surf shops in our area were just that, surf shops and the skating in the small town was getting a little tired. A new shop had opened up over the bridge in Toms River and there was an abandoned lot next to it. The shop sold skateboards, hosted skate demos, and had a place to skate. That was our new hang. One weekend day it was business as usual at the launch ramp and parking blocks when two guys approached us. They were from the newly formed Eastern Skateboard Association. It was Art Gracey and JT Murphy, inviting us to the first contest in Kearny, NJ. The ESA went on to support and organize many contest through NJ and the east. 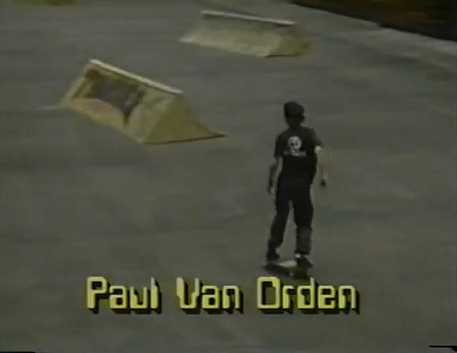 At the same time, skating in the northeast was getting huge. There was a lot attention coming from NYC with the news of a new skate crew called SHUT skates. The ESA provided another platform for exposure for these and other emerging skaters. JT worked as a bio-chemist or something tricky like that in the daytime and spend his weekends and free time volunteering his efforts promoting East Coast Skateboarding. Over the years I had come to appreciate him as one of my dearest friends. Both he and his wife, Donna, were about the coolest adopted siblings any wayward skater could ask for. They had these great halloween parties where we got to mix with a while different crowd. It was my first association with older people who respected skateboarding and never viewed it as a form of public destruction. We were always welcomed. They turned me on to more great music, food and life than they could have known. I will always consider JT as one of the most influential people of my youth. There are few things I do, to this day, that didn’t begin because of JT Murphy. If anyone would like to add to this post please feel free to email me. This entry was posted in 1985, 2. SKATE SPOTS:, Eatontown Skatepark, JT Murphy, Photos by Ken Salerno, SKATE PARKS:, SKATE VIDEOS, SPOTS:, Tom Groholski and tagged ART, backyard ramps, boards, east coast, jason, Jason oliva, jasonoliva, JT Murphy, New Jersey, New York City, oliva, paintings, photography, pool Skating, ramp, ride, sk8, sk8t, skate, skate decks, skate history, skate photography, Skate ramps, skate trucks, skate wheels, skateboarding, skateboarding history, skateboarding photography, skateboards, skatepark, skater, SKATERS, steam, Street Skating, TEAM STEAM, The Barn, The House of Steam, thos, vert, vert ramps, Vert Skating, W.H.R.H.S. on June 1, 2007 by jasonoliva.